Parcel mapping is an integral part of facilitating private land ownership and land administration decisions in any country and constitute an important component of its digital infrastructure. Find out more how LTSA modernized parcel mapping in British Columbia with the introduction of ParcelMap BC. If you own real property, you have probably gone through the legal process of ensuring that the piece of land or the lot—also popularly known as “parcel”—physically and legally exists. In recent years, it has become easy enough for us to simply conduct an online search and find relevant information. But what goes on behind the scenes and how do these millions of parcels get online? The concept of parcel mapping isn’t anything new. In fact, historians claim that Egyptians were the first ones to draw parcel maps – dividing odd-shaped pieces of land into triangles pegged out on the ground. In addition to Egyptians, early Chinese civilizations and Babylonians were known to use maps to record information about properties – boundaries, legal owners and taxes. Today, parcel mapping is an integral part of facilitating private land ownership and land administration decisions in the country. British Columbia is no exception, where the responsibility for operating the land title and survey systems for the province lies with the Land Title and Survey Authority of British Columbia (LTSA), a publicly accountable, statutory corporation formed in 2005. Since the 1860s, British Columbia maintained a system of recording ownership and interests in private and Crown land through land surveys and land titles. Land in BC is described using nine different survey systems distributed across 189 local government jurisdictions, collectively representing approximately 10% of Canada’s land mass and 13% of its population. Based on the principles of the “Torrens system” of land title registration, the land title system in BC provides an up-to-date official and public record of who owns private land, and related charges and interests. Keeping pace with technological advancement, the land title system in British Columbia has been quick to adopt new and innovative techniques to improve their services. By 1989, BC land titles were already available online and could be accessed remotely In 2004, the Electronic Filing System was introduced, which further eased the submission and retrieval process of land title documents. Demand for an easy and efficient means of accessing accurate province-wide land title and survey information had been growing continuously, yet there was no single, complete, trusted and sustainable electronic map of BC’s parcel fabric online to address this need. There were many efforts by local governments, the provincial government and other organizations to build portions of the provincial parcel fabric, but those efforts weren’t coordinated across a vast province like British Columbia. 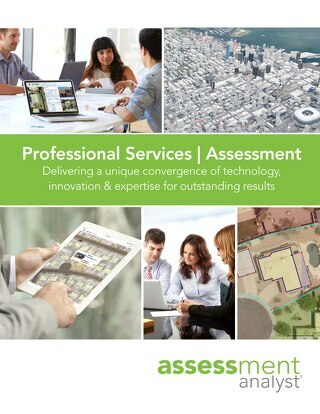 In 2012, after completing a major business transformation – moving from a paper-based records system to an electronic system of land title registration and survey plan submission – the LTSA committed itself to building and maintaining a visual representation of lands within a given parcel and its relationship to adjacent parcels for the entire province. 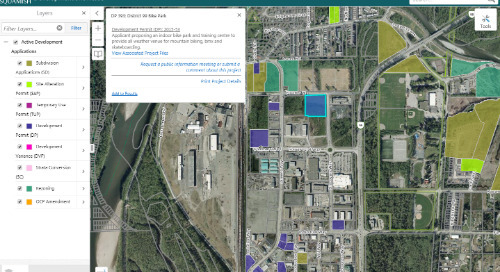 The project was named ParcelMap BC and it was based on existing parcel mapping from various jurisdictions as well as the closest-to-source land title and survey plan records data that the LTSA had acquired through 150+ years of managing BC’s land title and survey systems. The LTSA collaborated with three ministries of the Province of BC, along with key stakeholders, the Integrated Cadastral Information Society (ICI Society) that represents 189 local governments, utilities and First Nations; the Association of BC Land Surveyors (ABCLS) and the BC Assessment Authority (BCA) to form a stakeholder advisory group to guide the project. 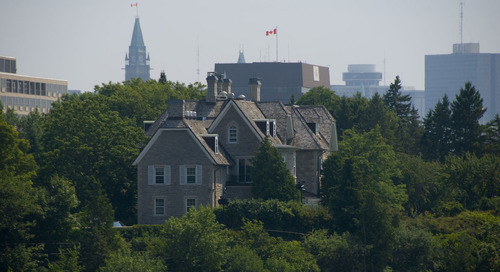 The Province provided access to Crown land information, whereas the ICI Society facilitated access to individual local government parcel mapping datasets as seed information. The ABCLS adopted mandatory georeferencing of surveys, such that all surveys conducted are now submitted accurately located. 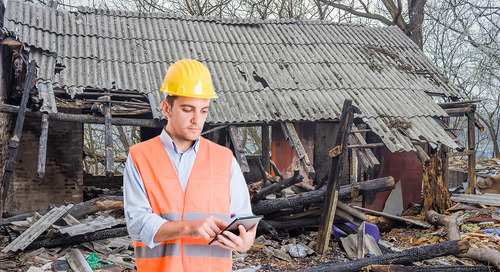 In addition, land surveyors now submit Survey Plan Datasets, the digital representation of the legal survey plan—for each legal survey completed anywhere in the province. 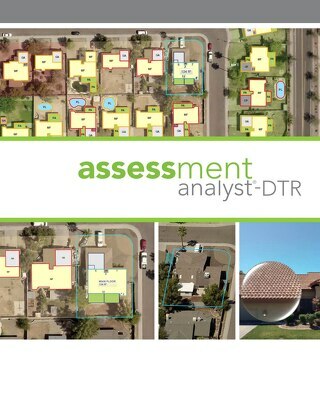 BC Assessment provided access to the taxation number (known as JUROL), and the necessary linkages between JUROL, civic addresses and LTSA’s unique parcel identifiers (PIDs). “The LTSA was uniquely positioned to lead this initiative. 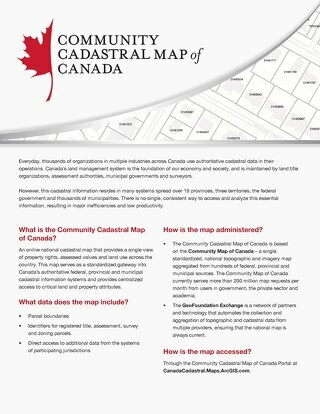 As the administrator of closest-to-source parcel information in the land title register, as well as our role in supporting the Crown land registry, we had a good baseline with which to start collaborating with key stakeholders,” stated Mike Thomson, Surveyor General of British Columbia. In July 2014, after spending almost two years developing the project definition and scope with stakeholders across the province, the LTSA secured Board approval for a budget of CDN $22 million and launched into the build phase of ParcelMap BC. The 944,000 square kilometres of the province were split into 18 geographic increments that were rolled out in 14 delivery cycles covering over 2 million parcels to complete the initial compilation. During each delivery cycle, the team involved in delivering on the ParcelMap BC project consolidated existing information from disparate sources, fixed errors and missing pieces, and added new survey data. This approach ensured there would be a single, georeferenced parcel fabric for the province that also complied with industry standards and best practices for parcel attribution, topology, currency, auditability and spatial accuracy. Also included in the initial compilation was the collection of approximately 12,000 cadastral ties (parcel fabric connections to survey control points) used to assess and ultimately improve the positional accuracy of ParcelMap BC. This included over 2,600 ties from new field observations, 4,000 ties collected from stakeholders, and the remaining ties harvested from georeferenced legal survey plans, all captured into the ParcelMap BC parcel fabric. 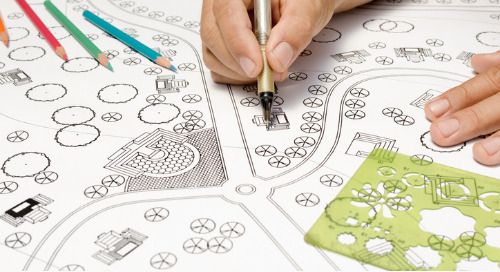 The LTSA approach to parcel mapping is collaborative, innovative and efficient. Event-driven work management automates parcel update work queues based on changes to both the land title register and Crown land registry made by the LTSA’s Land Title Division or Surveyor General Division, as appropriate. 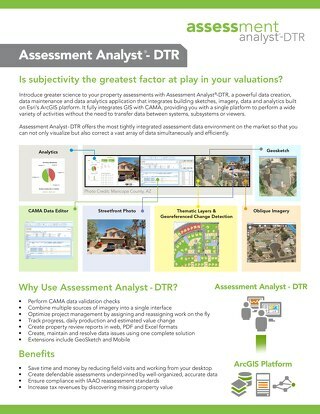 Survey plan-based changes are facilitated by Survey Plan Datasets, digital representations of the legal survey plans submitted to the LTSA by BC land surveyors under a practice requirement introduced by the Surveyor General in 2016. This approach enables the LTSA to process changes to the parcel fabric in a very efficient manner. To ensure that data integrity in ParcelMap BC is maintained beyond the initial build, the LTSA set about establishing processes to integrate new survey plans so that the spatial accuracy of the fabric is constantly improving and best reflects the most current and complete information. 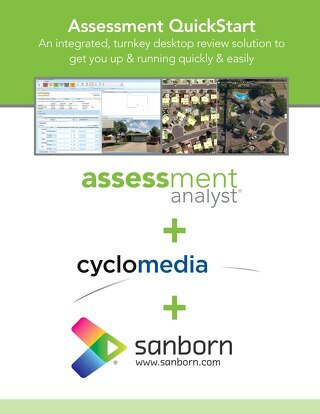 The electronic submission interface provides verification and integration of plan-based updates, including survey, parcel and control point data submitted by land surveyors for each new survey plan. 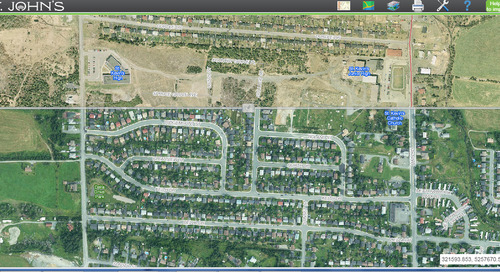 “Land surveyors have been key partners in the success of ParcelMap BC. 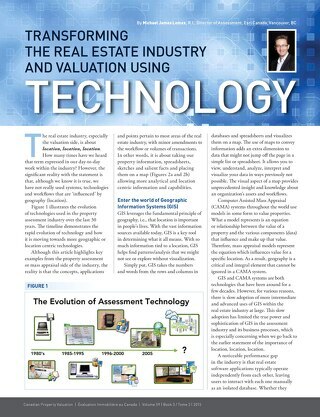 Initially adopting mandatory georeferencing of surveys—such that all surveys conducted are submitted as accurately located—and subsequently meeting the requirement to provide a digital representation for each legal survey completed anywhere in the province has allowed the ParcelMap BC Operations team to efficiently integrate new surveys and continually improve the fabric,” stated Brian Greening, Director of ParcelMap BC Operations. 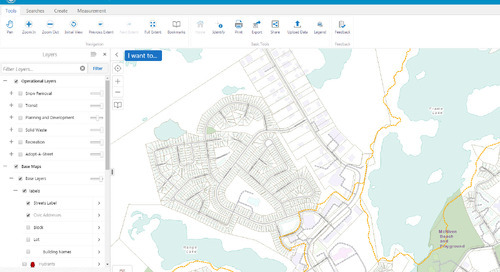 Once the LTSA captures and accepts the survey plan dataset, the ParcelMap BC Operations team processes these updates into the LTSA’s ArcGIS parcel mapping environment. 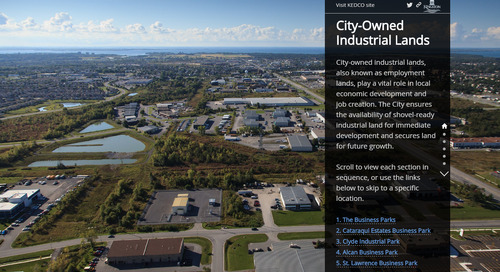 This environment employs Esri’s Parcel Fabric which includes ArcGIS Parcel Editor tools and builds off the Canadian Parcel Data Model (CPDM), the standard parcel fabric data model for Canada. The LTSA employs modern parcel mapping workflows to join the captured survey plan dataset with the existing ParcelMap BC fabric by establishing linkages between common points in the survey plan dataset and the ParcelMap BC fabric. This “join process” reconciles the spatial accuracy of the new survey plan dataset information with existing information in the ParcelMap BC fabric. The LTSA will be able to selectively improve the spatial accuracy of ParcelMap BC over time as new survey plan datasets are captured and as local accuracy conditions warrant. 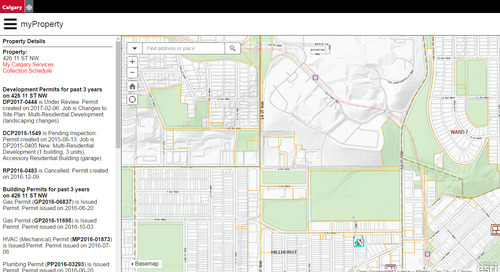 These ongoing accuracy improvements will leverage ties to survey control points, accuracy information that is maintained in the ParcelMap BC fabric, ArcGIS spatial adjustment tools, and related tools and workflows. The spatial changes resulting from these adjustments will be made available to the ParcelMap BC user community through the publication of an ongoing record of “change vectors” that users can employ as required to adopt these spatial changes into their respective operational environments. Modern parcel mapping is broadly needed by many sectors of the economy and constitutes a fundamental component of the digital infrastructure of a modern society. Recognizing its importance, the LTSA has placed a high priority on making ParcelMap BC and related services accessible to the entire community, and on working with the community to adopt ParcelMap BC as the single, complete, trusted and sustainable parcel map for the entire province. 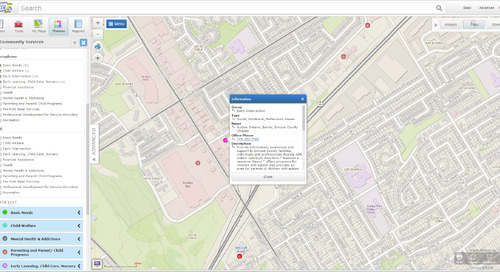 In order to continually improve customer experience and provide flexible service options for accessing land title and survey information, the LTSA allows users to search for parcels and view select parcel attributes through a map viewer open to all on the LTSA’s website at no cost. 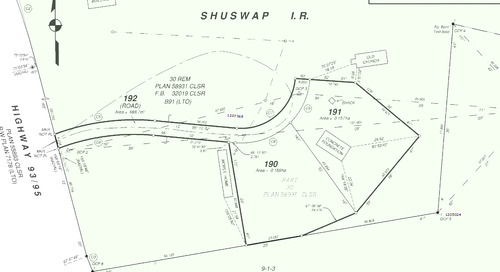 Attribution for each titled parcel includes the parcel identifier (PID) direct from the land title register and the respective jurisdiction, and roll number (JUROL) as supplied by BC Assessment. Customers such as legal professional can use myLTSA Portal services to tap into the ParcelMap BC service to search and visualize comprehensive parcel information, including the ability to access related land title records as well as preview a relevant survey plan before ordering. ParcelMap BC offers 5 ways to search parcel information – by map shape or click; by plan number; by parcel identifier number, land title PID, or Crown PIN; by BC Assessment Jurisdiction and Roll Number; or a commonly used method is to search by civic address, pictured above. 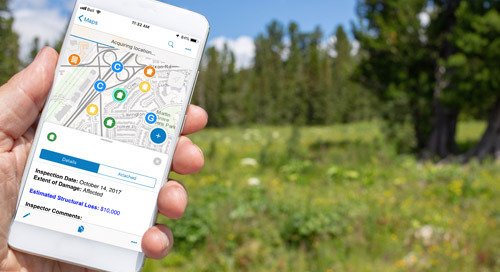 More than just search, ParcelMap BC brings land title information, miscellaneous notes and parcel information, and survey plan information to life in an intuitive, visual way. With ParcelMap BC now fully operational, the LTSA is proud of its ability to continually deliver on its mandate of providing reliable and secure land title and survey systems to its customers. ParcelMap BC will continue to support faster and more accurate real property transactions, and minimize data discrepancies, all at no cost as the ParcelMap BC fabric is maintained. 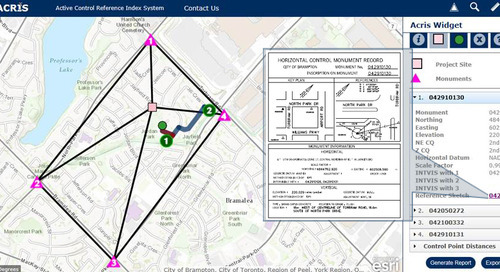 The LTSA’s modern approach for parcel mapping—including the “capture – join – adjust” workflow for mapping maintenance, as well as the high priority placed on broad community adoption—represents a state-of-the-art model for other jurisdictions to consider as they evaluate ways to maximize collaboration, efficiency and community innovation. 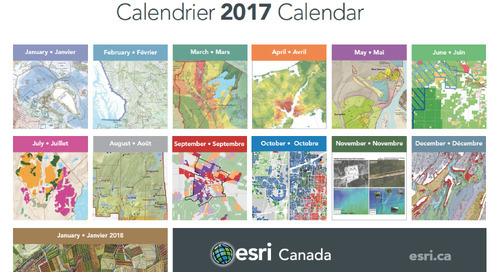 In July 2017, LTSA received the Esri Special Achievement in GIS (SAG) award for their innovative use of geographic information system technology to improve the world.